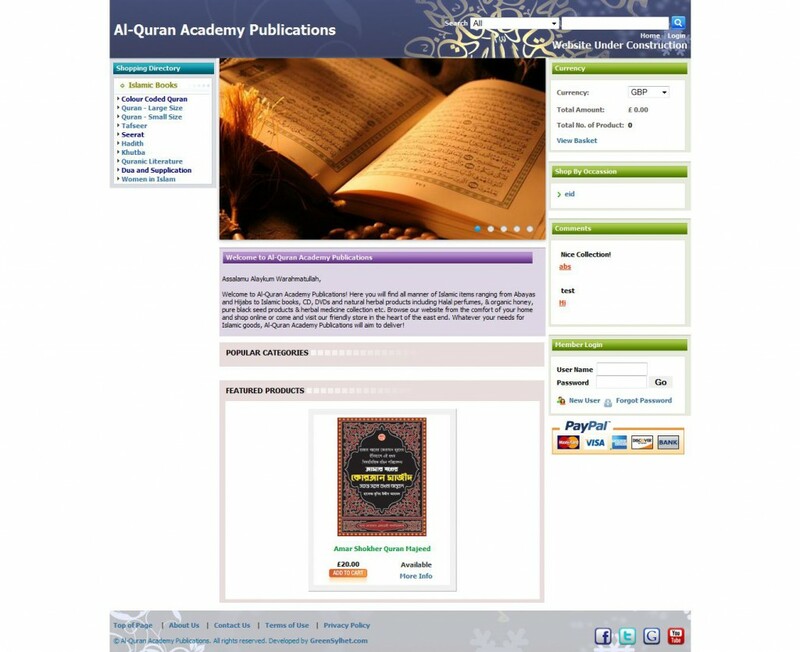 Al-Quran Academy Publications! Here you will find all manner of Islamic items ranging from Abayas and Hijabs to Islamic books, CD, DVDs and natural herbal products including Halal perfumes, & organic honey, pure black seed products & herbal medicine collection etc. Browse our website from the comfort of your home and shop online or come and visit our friendly store in the heart of the east end. Whatever your needs for Islamic goods, Al-Quran Academy Publications will aim to deliver!